Been holding off on getting your machine a solid state drive? If you didn't like them because of the high prices and stability issues, well this might change your mind. People who are searching for a deal might also like this. Intel's new 25nm NAND entry utilizes a SATA 6 Gb/s connection to deliver up to 500 MB/s sequential reads and 450 MB/s writes. Now this isn't the best speeds when compared with other SSDs, but combine them with Intel's reputation for crafting quality drives, low prices -- $89 for 60GB, $149 for 120GB, and $234 for 180GB -- and a three year warranty, would most likely make up for it. Want one, you can order online or go to a local retail store, but beware that it might not be coming to your local best buy. See the the link below in the comments for what I mean. And finally, here is a nice press release. New Intel SSD 330 Series offers boosted system performance for the budget-conscious PC enthusiast. An ideal PC upgrade, Intel SSD 330 Series is a SATA 6Gb/s-based SSD that blends performance, Intel quality and value. Available in the most popular capacities, 60-, 120- and 180GB, Intel's newest SSD starts at a suggested channel price of $89. SANTA CLARA, Calif.--(BUSINESS WIRE)--Intel Corporation announced today the Intel® Solid-State Drive 330 Series (Intel® SSD 330 Series), a SATA 6 gigabit-per-second (Gb/s) solid-state drive (SSD) that gives consumers a more affordable entry into the accelerated storage performance of SSDs. "An SSD is still the single best upgrade you can make to your existing PC, and the Intel SSD 330 Series gives users the latest Intel SSD technology at a price to meet their budget," said James Slattery, product line manager for client SSDs, Intel Non-Volatile Memory Solutions Group. "Backed by Intel's rigorous testing process, the Intel SSD 330 Series offers our users the speed they need at a great price, backed by world-class manufacturing, reliability and tech support." Unlike a traditional hard disk drive (HDD) with spinning disks and moveable parts, SSDs offer a more rugged, low-power storage solution that dramatically improves system performance to keep up with today's I/O-intensive applications. 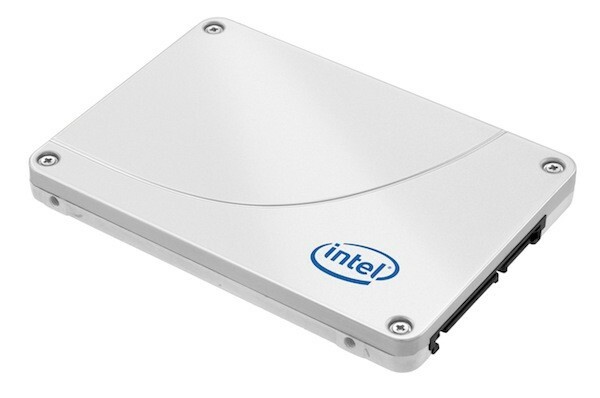 The Intel SSD 330 Series contains Intel 25-nanometer (nm) multi-level cell (MLC) NAND memory. Its SATA 6Gb/s interface doubles the bandwidth of its current SATA 3Gb/s Intel® SSD 320 Series, providing up to 500 megabytes-per-second (MB/s) sequential read speeds and up to 450MB/s sequential write speeds for faster data transfers. Random read performance can go up to 22,500 Input-Output Operations Per Second (IOPS) and 33,000 write IOPS to boost overall application and system responsiveness, significantly outperforming a typical consumer hard disk drive. To download the multimedia press kit go to www.intel.com/newsroom/ssd. For more information on Intel SSDs go to www.intel.com/go/ssd or follow Intel SSDs on Twitter (@intelssd), Facebook (www.intel.com/go/ssdfacebook or communities.intel.com).